Hello all! This is my 2nd post for the My Favorite Things Sketch Challenges, you can see the first one here. 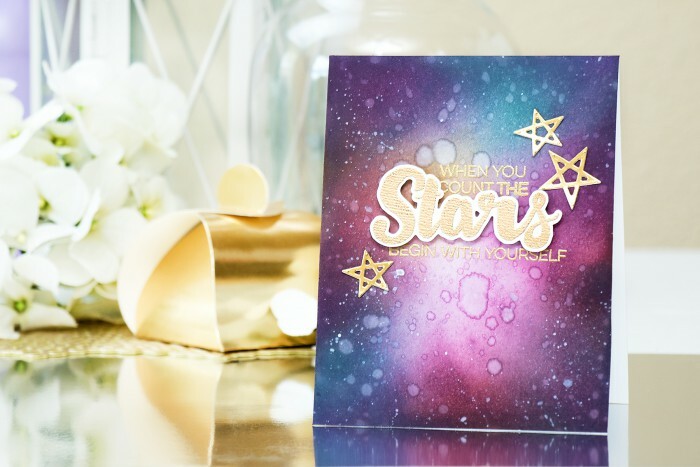 I created a galaxy background using Distress inks (colors listed below) using a simple tutorial I shared here. 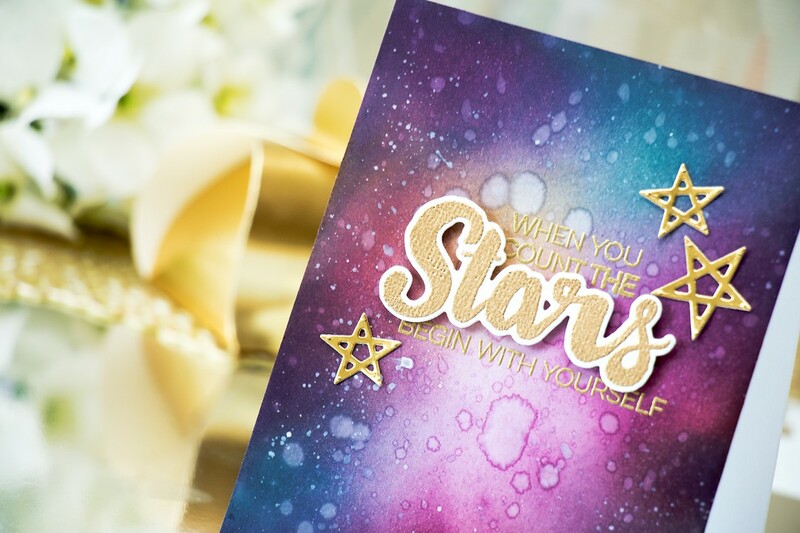 I used to think that ink blended galaxy backgrounds were too hard to make, so glad I gave this a try – and I’m loving the result and the process! It does take about 8-15 minutes depending on how much ink blending you want to do, but the result is absolutely fabulous. I heat embossed a part of my sentiment directly onto the background, used Hero Arts Gold Embossing powder and Versa Mark clear ink. 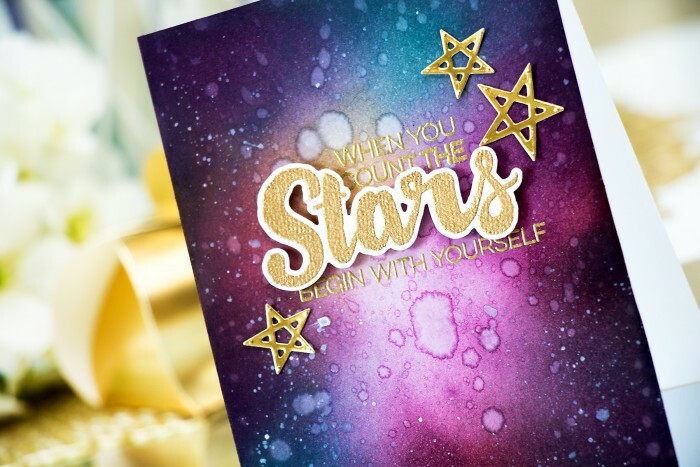 The main word, Stars was also heat embossed is gold, but onto a piece of textured cardstock and was later die cut using a matching die. Finally I die cut several stars out of gold mirror cardstock and adhered those onto my background. Overall this card took less than 30 minutes to make. Oh my goodness Yana, this card is beautiful! What a pretty card??? ♥ IT! aaaw! thank you so much, Teresa! Wow.. Just wow!!! Another Galaxy beaty! Fantastic background and incredible card!!! !